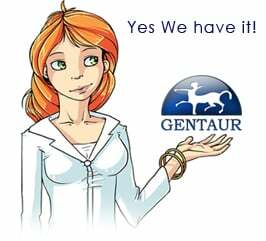 Gentaur antibody-antibodies.com The Marketplace for Antibodies : The genome sequence of Drosophila melanogaster. The genome sequence of Drosophila melanogaster. The fly Drosophila melanogaster is one of the most intensively studied organisms in biology and serves as a model system for the investigation of many developmental and cellular processes common to higher eukaryotes, including humans. We have determined the nucleotide sequence of nearly all of the approximately 120-megabase euchromatic portion of the Drosophila genome using a whole-genome shotgun sequencing strategy supported by extensive clone-based sequence and a high-quality bacterial artificial chromosome physical map. Efforts are under way to close the remaining gaps; however, the sequence is of sufficient accuracy and contiguity to be declared substantially complete and to support an initial analysis of genome structure and preliminary gene annotation and interpretation. The genome encodes approximately 13,600 genes, somewhat fewer than the smaller Caenorhabditis elegans genome, but with comparable functional diversity. ACLPRO435B Drosophila melanogaster GAGA_POZ, recombinant 50 µg. ACLPRO435 Drosophila melanogaster GAGA_POZ, recombinant 10 µg. Ixodes scapularis Src tyrosine kinase facilitates Anaplasma phagocytophilum survival in its arthropod vector. Adenine Methylation in Is Associated with the Tissue-Specific Expression of Developmental and Regulatory Genes. DNA motifs are not general predictors of recombination in two Drosophila sister species. Genetic and Molecular Analysis of Essential Genes in Centromeric Heterochromatin of the Left Arm of Chromosome 3 in . UDP-glycosyltransferase genes and their association and mutations associated with pyrethroid resistance in Anopheles sinensis (Diptera: Culicidae). Common workflow language (CWL)-based software pipeline for de novo genome assembly from long- and short-read data. The NSL complex-mediated nucleosome landscape is required to maintain transcription fidelity and suppression of transcription noise. piRNA silencing contributes to interspecies hybrid sterility and reproductive isolation in Drosophila melanogaster. A combined computational strategy of sequence and structural analysis predicts the existence of a functional eicosanoid pathway in Drosophila melanogaster.